Romance Spotlight for Donna Weaver and a Giveaway! Giveaway Details $25 Amazon Gift Card or Paypal Cash Giveaway Ends 3/20/19 Open only to those who can legally enter, receive and use an Amazon.com Gift Code or Paypal Cash. Winning Entry will be verified prior to prize being awarded. No purchase necessary. You must be 18 or older to enter or have your parent enter for you. The winner will be chosen by rafflecopter and announced here as well as emailed and will have 48 hours to respond or a new winner will be chosen. This giveaway is in no way associated with Facebook, Twitter, Rafflecopter or any other entity unless otherwise specified. The number of eligible entries received determines the odds of winning. This giveaway was organized by Kathy from Clean Wholesome Romance and sponsored by the author. VOID WHERE PROHIBITED BY LAW. He was kind enough to do an interview and tell us when his next book, Plague, is coming out, (It sounds so good! Click here for more info) He also answers whether he always wanted to be a writer, if his medical background influences his writing, and what was the weirdest research question he's come across! 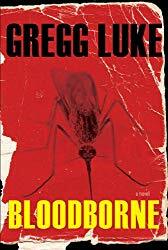 If you haven't read him before and love medical thrillers, you should give his books a try! Romance Author Spotlight for GG Vandagriff and a Giveaway! headstrong and impetuous as Fanny? G.G. Vandagriff is an Amazon #1 best selling author of Regency romance, however she has recently begun a Romantic Suspense series starting with the publication of Breaking News It surrounds the events in a Chicago TV station's investigative journalism unit and is lots of fun. Her first novel The Last Waltz, the first novel in her 20th Century Historical Romance Series won the Whitney Award for Best Historical Novel in 2009. There are now two more books in that series--Exile and Defiance. Her thirteen Regencies have been lauded by critics and compared to the witty novels of Georgette Heyer. She has also written a lively genealogical mystery series featuring Briggie and Alex, two wacky widows, as sleuths. Alex is in her thirties, Briggie in her sixties, and both have plenty of romance in their lives. Vandagriff graduated from Stanford and received her master's degree from George Washington University. She worked as an associate editor at Stanford's Hoover Institution, an assistant treasurer in the Harvard Treasurer's office, a bond analyst at Fidelity Investments, and an international banker for Continental Illinois National Bank (later acquired by Bank of America). She and her husband David are the parents of three children and seven grandchildren, her greatest joys in life. Her favorite novel? Jane Eyre. She also loves Florence, Sundance Resort, Cubs baseball, hot chocolate, lilacs, and dachshunds. Giveaway Details $25 Amazon Gift Card or Paypal Cash Giveaway Ends 3/19/19 Open only to those who can legally enter, receive and use an Amazon.com Gift Code or Paypal Cash. Winning Entry will be verified prior to prize being awarded. No purchase necessary. You must be 18 or older to enter or have your parent enter for you. The winner will be chosen by rafflecopter and announced here as well as emailed and will have 48 hours to respond or a new winner will be chosen. This giveaway is in no way associated with Facebook, Twitter, Rafflecopter or any other entity unless otherwise specified. The number of eligible entries received determines the odds of winning. This giveaway was organized by Kathy from Clean Wholesome Romance and sponsored by the author. VOID WHERE PROHIBITED BY LAW. Yours, With Love by Delaney Cameron A modern Beauty and the Beast... An unexpected inheritance brings Ellen back to her hometown of St. Marys. After an absence of ten years, she never expects to run into Quinn, one of her sister’s old boyfriends and her teenage obsession. If it's true that it's a small world, it's also true that it can be a cruel one. The good-looking eighteen-year-old who touched her young heart is no more. In his place is a man whose life has been torn apart by tragedy and loss. There was a time when Quinn believed love could conquer all; that there was nothing it couldn’t overcome. Losing Avery changed all that. Her rejection was a painful lesson in the limitations of human love. Ellen’s sudden reappearance in his life is a complication he didn't anticipate. She epitomizes everything he wants and everything he can’t have. Her touch awakens not a sleeping giant bent on destruction, but a tormented soul desperate for affection and acceptance. Is love a shallow emotion that flees at the first sign of adversity or will it wait forever for the one whose heart it seeks?